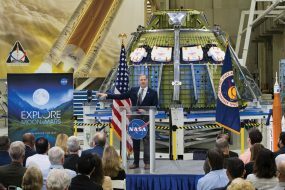 For only the third time in the 35-year history of the Bay Area Houston Economic Partnership, two prestigious awards were presented at the annual Quasar Banquet. The Presidential Award, was presented by BAHEP President Bob Mitchell to Bay Area Citizen Editor Emeritus Mary Alys Cherry “for her passion to the community” as the crowd of 650 cheered. Hello Mary Alys, I have wanted to congratulate you on this most prestigious award. I am proud of you and hope this is not too late. 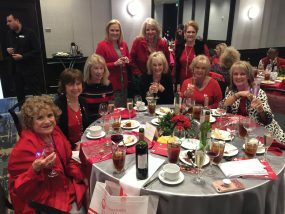 I have not been “in the crowd” lately, especially since my husband Art died two years ago but I did get a glimpse of you during the We Go Red luncheon at South Shore in February. But you were too busy and I did not want to interfere.